For 2012, I started doing half marathons. I didn't really planned for it but I was influenced into doing them. Just before doing that, I tried to train as long as I can but without any direction. 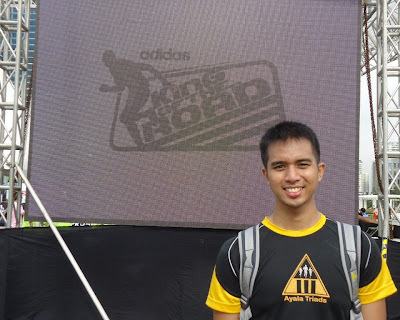 I was able to finish my first 21km run at the Go Natural Run 2012 and despite finishing a few minutes short of 3 hours, I was able to prove to myself that I could do it. Following this run, our team volunteered in the Todo Responde Run. Our team was assigned to a water station and I was able to know the experience of being in the other side of a race. Then, I ran with Piolo at the Timex Run 10km. In that race event, I was able to pace a fellow PRC member and set a PR. Then, I was able to take part in one of the well-known running event in the Philippines, the Condura Skyway Marathon, and I was able to set another PR. After that, my blogger friends and I were invited to Race for Orphans and I was able to set another 10k PR in the rolling hills of Camp Aguinaldo, with help of Noel, the Deemen Runner. 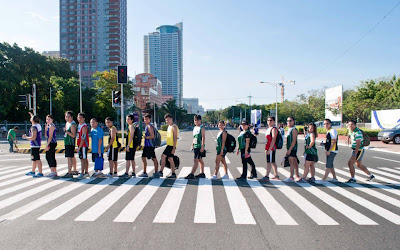 After which, I joined the Ateneo Aquathlon in March with little training and accompanied by PEx Swimmers. 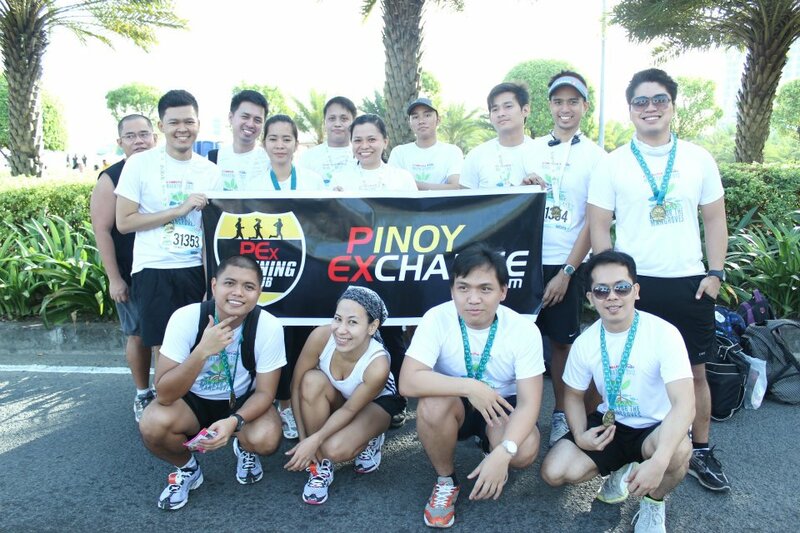 Then, PRC supported the first time marathoners at the The Bull Runner Dream Marathon 2012. We stayed there until all our members were able to finished and dared them to do a jump shot after conquering 42kms. At the end of March, I did a 10km run at FIC Run without earning another PR but I ran for a cause, nonetheless. Then, I joined the second longest running running event in the Philippines, Yakult Run and finished my first 16km or 10 mile run. After months of planning, I did my first beach run in Boracay Island and conqured its sands at a 10k event which I wouldn't do that much again since the celebrities and majority of PRC members did a 5k event, anyway. Later that month, we ran again for another cause in the Hyundai Race for a Cause where I ran at a slow pace with some of the PRC members after which we rented a space and celebrated our finish. Then, I celebrated my runniversary at the Slimmerun 2012 where I set another PR for 10km. I missed a few runs and other events on May but for June, my calendar was full. 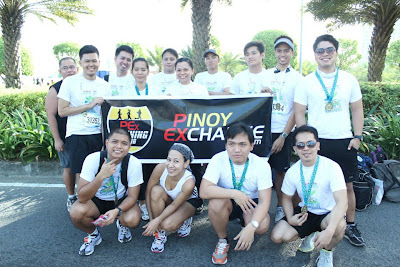 On the first weekend, we made our way to Rizal to cheer our fellow PRC runners at the finish line. It took a while for everyone to finish as the Merell Trail Run is the most technical trail run race in Metro Manila. But everyone was tired but happy with the race. The next week is a preparation run with OROFOLS 3 which was my first official 15km event. Then it was Run United 2 which started as a rainy run at first but a memorable on as we ran from BGC to MOA. I earned another PR for 21km in this event, shedding off a few seconds of my previous record. Just before my onshore assignment in East Coast, USA, I spent a Sunday of my last weekend running in the Robinson's Buddy Run with some PRC members. Before I went on an onshore assignment, I joined an running event more than each month and almost zero training. I sometimes crammed training, but most of the time I winged it. I arrived in the United States early July and the one of the first experiences that my uncle recommended me was to join a fun run there and I decided to take on the challenge. With my own money, I then registered to the Rock and Roll Half Marathon Philadelphia. A week later, my uncle sent me a training plan and I followed it as much as I can. I followed it on the first weeks but I missed a few weekend long runs due to weekend vacation trips. On race day, I was able to beat my PR and do a sub 2:30 finish. I guess training really do pay off. Also, I was able to run almost non-stop for the whole duration of the running event. A few weeks later, I was back in Manila for a 2 week (turned 3 week) vacation before returning to the 2nd half of my onshore assignment. 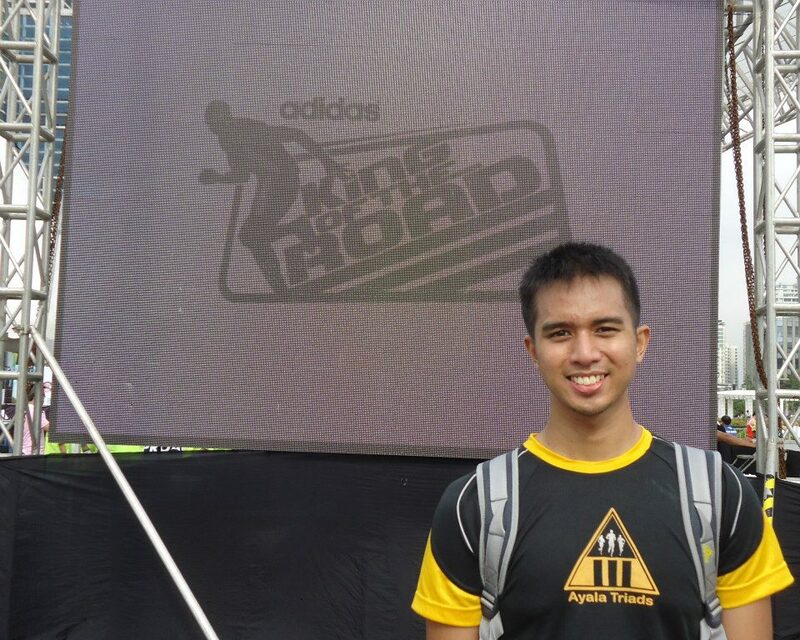 I joined Adidas KOTR Philippines 2012 and did a 10km run. I didn't have any goal so I planned to pace a friend on his first 10km but he was late so I just did an easy 10km. Afterwhich, we had a long day after that with bowling, ice skating and videoke. Then, I was back in US. My training for TBRDM 2013 commenced and I had to fight through the cold to get my maintenance run and long runs. As my batchmates were attending Bull Sessions and Bull Circles. I just did runs on my own in the cold weather of East Coast US. I signed up for a the Rehoboth Beach Half Marathon, not really serious on breaking my PR. On the Philadelphia Marathon weekend, Steve gave me his bib to run a 21km since his doctor didn't allow him to do a marathon. My training plan only said 90 minutes so I did run for 90 minutes and did a 5-1 galloway until I finished 21km. Since I wasn't training for a half, I had difficulty walking after that weekend. My co-workers even noticed it. I just said, "I ran too much". Weeks after was my final run for 2012 with the Rehoboth Beach Seashore Run. It wasn't a big race like the Philadelphia races I was able to partake in. It was a Rehoboth's running community's annual running event. It was also a great experience but the uneven trail run was a killer. I was limping after the race but that didn't stop me from shopping, though. 2012 for me was a great year for running. I was able to run comfortably for 21km. I used to see this distance as impossible to finish but now I just see it as an easy yet long run. It is something I could do making me see that I could eventually run longer if I train for it.